Service times: 9 & 10:30. Easter egg hunt for all children ages 2 - 10 after second service! Follow along live to add your own notes or listen to previous messages. Click below to let us know - we would love to honor in church 4/28 (College) & 5/5 (High School)! Click the image below to take your next step! Thank you for your support of the mission at The Bridge. The latest happenings for you and your family at The Bridge. A once/month service for High School & College students. All ages are welcome in BridgeKidz from birth to the end of 4th grade. 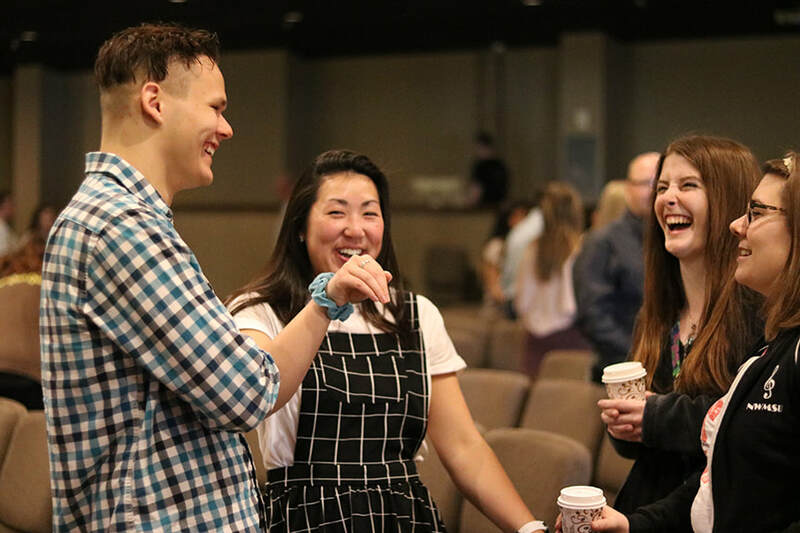 Every Sunday we strive to connect and love on our kids, teach Biblical lessons/principles and have fun! Get alerts, event reminders and other church information sent as email and text messages to your phone! We weren't meant to go through life alone. Here at The Bridge we envision a church not only with small groups, but a church OF small groups. The difference? We're connected - and cared for.